Nikon has excited a lot of photographers around the world by releasing a high-resolution DSLR, Nikon D850. This model now represents the company’s most advanced DSLR, and is certainly an excellent way to celebrate the company’s 100th anniversary. 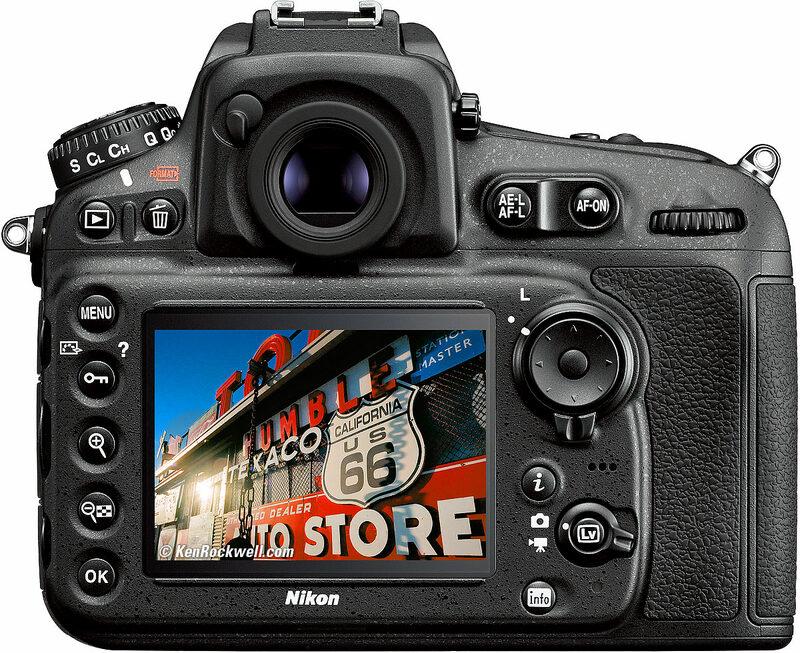 However, should Nikon D810 owners trade in their cameras? Read the comparison between Nikon D850 vs D810 below for the answer. As expected, both Nikon D850 and Nikon D810 are well-built and incredibly durable. Both cameras here have a tough magnesium-alloy housing that is weather sealed, so you can use them in extreme environmental conditions without compromising the life of the camera. See also: Nikon D7100 vs. Canon 70D. Nikon D850 is only a little bit bigger and heavier than Nikon D810. The differences are hardly noticeable. Nikon D850 measures 146mm x 124mm x 79mm and weighs 1,015 grams, whereas Nikon D810 measures 146mm x 123mm x 82mm and weighs 980 grams. Both models have a nice textured grip surface, and both feel solid and comfortable to handle. The layout of Nikon D850 is generally similar to that of Nikon D810, except for just a few buttons such as the ones on the top plate. 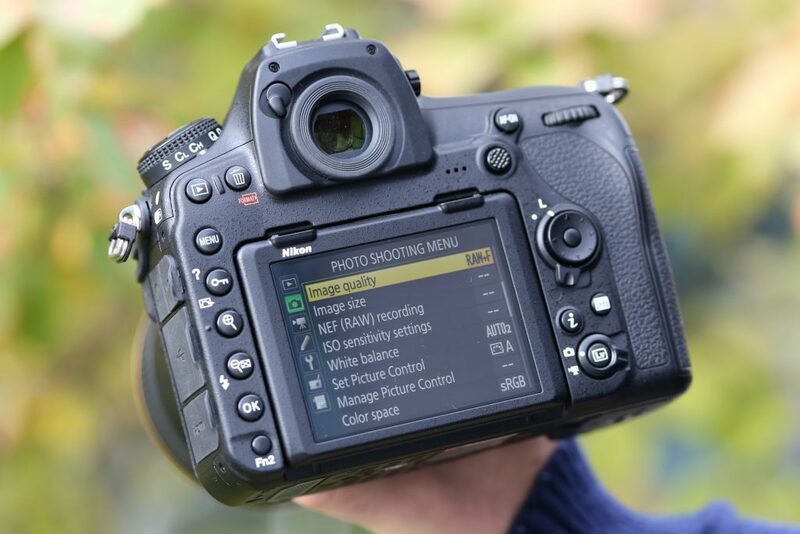 Nikon D810 users will not find a real problem when trying to familiarize themselves with the newer model. One great feature of Nikon D850 is that it comes with illuminated buttons, so the camera is easy to operate in low-light conditions. Nikon D810 doesn’t have illuminated buttons. 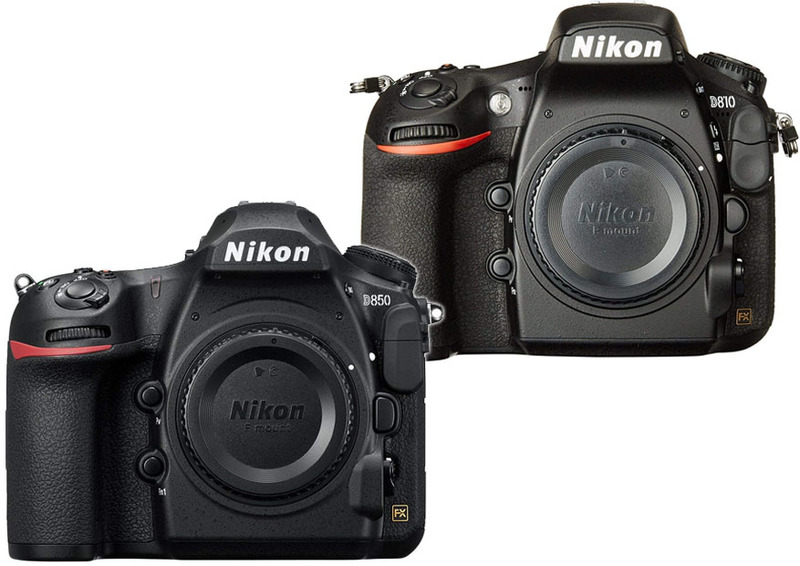 In a glance, Nikon D850 vs D810 may appear to have a similar display and viewfinder. Well, the size is indeed similar. Each of them comes with a 3.2-inch rear display. However, there are important differences here. Nikon D850 is fitted with a tilting display that has a much higher resolution. The tilting mechanism is very useful for low-angle and high-angle compositions and some videography purposes. The tilting display reduces the need for an external monitor from absolutely necessary to optional. And the 2,359k-dot resolution is such a joy to see. The viewfinder of Nikon D850 offers a slightly larger magnification. It is a pentaprism viewfinder with 0.75x magnification. It is also a nice upgrade. On the other hand, Nikon D810 only has a fixed display, so taking low-angle or high-angle compositions will be very tricky without an external monitor. The 1,229k-dot resolution isn’t bad, but it definitely isn’t as sharp and detailed as Nikon D850’s. Nikon D810 has a pentaprism viewfinder with 0.71x magnification. The continuous shooting of Nikon D850 has also been improved. The standard continuous shooting speed is 7 fps. It is already pretty good for sports and wildlife photography. However, you can increase it to 9 fps by using the camera with a battery grip. This is useful for capturing the perfect moment when shooting a fast-moving subject. Nikon D810 has a standard continuous shooting speed of 5 fps. This can be increased to 7 fps by using the optional battery grip and DX crop.Many photographers think that the standard burst rate of Nikon D810 is a little bit too low for sports and wildlife photography. The next big difference between Nikon D850 vs D810 is the autofocus (AF). Of course, a high burst rate should be accompanied with a powerful AF system. There are notable improvements here, including the number of AF points and the EV range. Nikon D850 boasts the high-performance Multi-CAM 20K AF system, which is the same as the one found on the company’s flagship Nikon D5. It has a total of 153 AF points, 99 of which are cross-type points. In addition, 15 AF points here have f/8 support, so they can still work when you use a teleconverter with the lens.Nikon D850 is able to focus to -4 EV with the central point and to -3 EV with other points. Nikon D810 still uses the Multi-CAM 3500FX AF system, which ‘only’ has 51 AF points, 15 of which are cross-type points. It can only focus to -2 EV, so it may struggle to find the subjects when working in tricky conditions. Of course, the biggest headline of Nikon D850 is the upgraded sensor. This model comes with a 45.7MP back-illuminated full-frame image sensor without an optical low-pass filter. Now, that is a huge resolution. It is incredibly effective for making huge-sized prints. It is also awesome for photographers who need plenty of crop tolerance, as the high resolution will allow you to crop images without risking the quality. Nikon D850 is equipped with Nikon’s EXPEED 5 processor. This camera has a standard ISO range of 64 – 25,600. It is expandable to 32 – 102,400. In other words, this camera can easily face any lighting condition and give you impressive results. On the other hand, Nikon D810 has a 36.3MP full-frame sensor, and it is also without an optical low-pass filter. To be perfectly honest, this is still impressive. It is good enough for making large-sized images with good sharpness and detail. However, Nikon D810 still relies on the older EXPEED 4 processor, and the ISO range is only 64 – 12,800 (expandable to 31 – 51,200). Everybody goes 4K, so does Nikon D850. This camera is able to capture 4K Ultra HD videos at 30fps. It can also record Full HD footage at 120fps for slow-motion sequences. You can extract 8MP still images from the 4K videos. If video quality is an important factor in your priority list, Nikon D850 is an excellent choice. Nikon D810 doesn’t have 4K recording. It is only able to record Full HD videos at 60fps. So, for today’s videography purposes, this model is probably not powerful enough. Last but not least, Nikon D850 comes with improved battery life. It can last about 1.5x longer than Nikon D810. The company claims that it can take about 1840 frames per charge. On the other hand, Nikon D810 lasts for about 1200 frames per charge. The increased battery life is especially useful for landscape and wildlife photographers who typically shoot in remote locations. Nikon D850 is certainly worth the money. This camera comes with huge improvements in various aspects. It comes with illuminated buttons, a tilting high-resolution display, and a better viewfinder. The burst rate is high enough for sports and wildlife photography, and the AF system is really powerful. It has an upgraded image sensor and supports 4K Ultra HD video recording.